It looks like the formal living room is out and the outdoor living area is in. Just take a look at any new homes, remodeled homes, home/garden magazines or home improvement websites and you will see how popular the outdoor living area is. It has become synonymous with the healthy and relaxed lifestyle we are all seeking. The backyard is an extension of the home, and for many has become a place of escape – even a spot for a “staycation”. Many outdoor living areas are built around or overlook a pool, but a pool is certainly not a necessity for an enjoyable space. An outdoor living area can be as simple as a patio or screened-in porch connected to your home or a freestanding structure with a sloped roof. The true beauty of outdoor living areas is their simplicity. You need very little adornment when you have nature as your designer. A few decorative accessories can really add some character, especially those made of rustic wood or iron. 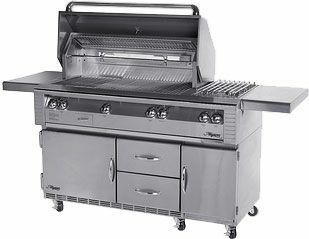 The transition for outdoor cooking and cooling kitchen amenities is fairly straightforward. However, Pidgeon warns that it is a worthwhile investment to spend the extra money for an entertainment system that is specifically made for the outdoors. 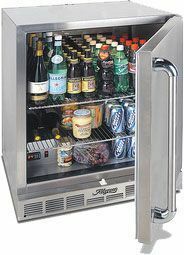 These specialty products have features that affect audio quality, lighting, temperature and protection from the elements. 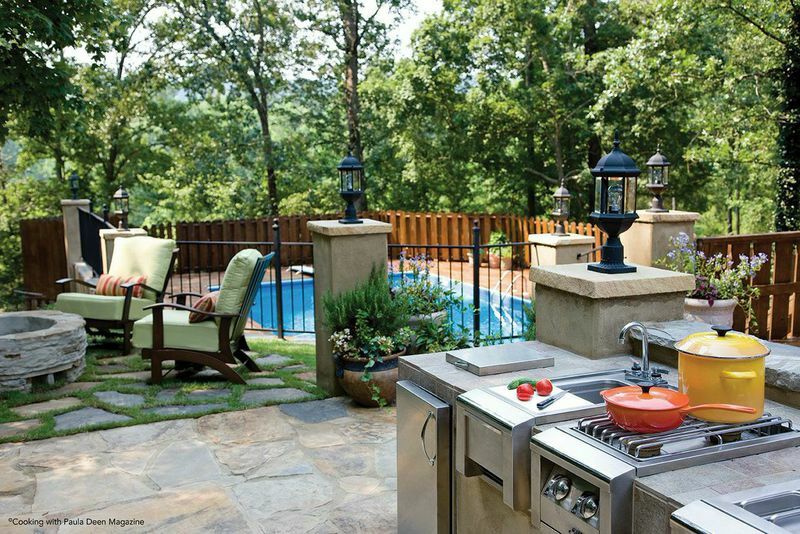 Starpower and Ed Kellum & Son can provide you with the perfect outdoor living environment for your lifestyle and budget. Their sales team, installers and designers can help you bring the best of the great indoors to the great outdoors. The outdoor living area is a great way to connect with your family and friends, literally in your own backyard. Click here for Bobbie Ames Fresh Ideas for Outdoor Entertaining! 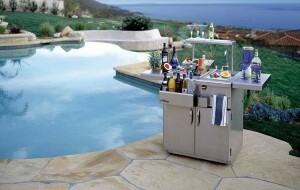 A cocktail party’s worth of barware and beverages remain close at hand on this complete Alfresco beverage center (Model AGBC-30 plus accessories) from Ed Kellum & Son. “It’s ideal if you can set up your bar outside and let your guest help themselves,” says Food & Entertainment Editor, Bobbie Ames.